-Teaching classes and workshops since 1997–primarily at the Currier Art Center, art school of the Currier Gallery of Art in Manchester, NH–classes included watercolor, mixed media, drawing and plein air oil painting. -Presented several teacher workshops on Andrew Wyeth and master watercolor techniques at the Currier Museum of Art. 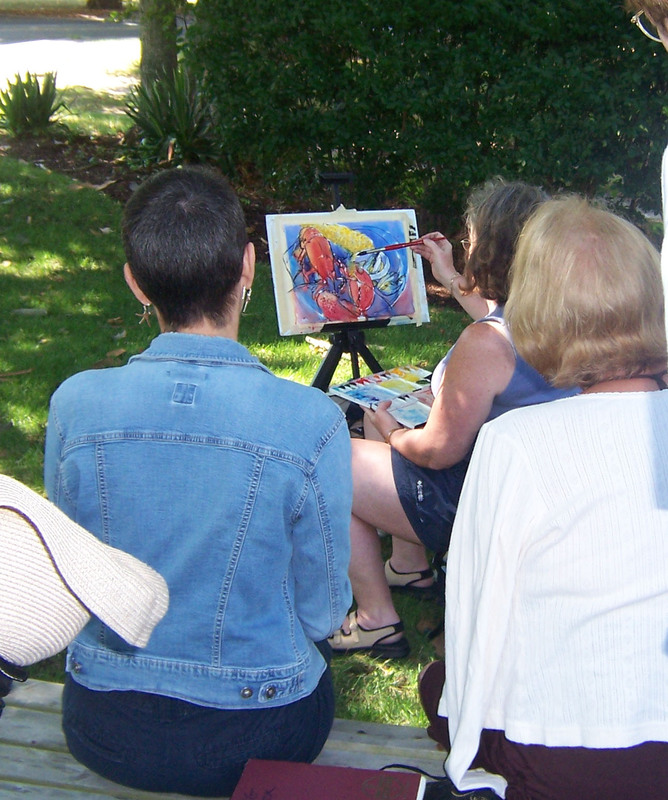 -Taught continuing education classes at the NH Institute of Art in Manchester–Drawing in Color, Acrylics. –Granite State College (previously known as College of Lifelong Learning)–classes in watercolor and drawing. -Various demonstrations including “Acrylic-a-phobia” for Manchester Artists Association, NH; demos for Addison Art Gallery on Cape Cod.